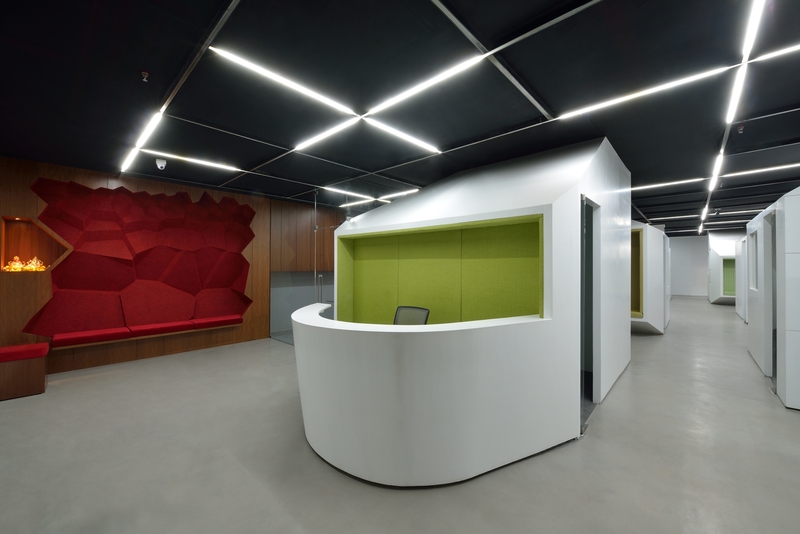 Office for Wellspun Energy Private Limited at Mumbai by Sameep Padora and Associates - ArchitectureLive! The design of most work spaces are plagued by the monotony of the manifestation of notional efficiency. There is enough documented evidence that the happiest work spaces most conducive to creative thinking are those that foster interaction. Our design for the Welspun Energy head office in Mumbai mimics traditional village open space/courtyard structures in an attempt to create non-hierarchical social spaces that encourage dialogue between the staff. Having been given a fit out by the client we were asked to work with a floor plate with no external light or ventilation save for the southern side which also had the service core. Through a series of work flow associations we then created a node based logic to the articulation of the clients program, while completely subverting the suggested ‘efficient’ layout we received from the client. The nodes became cabins that are the markers of varying programs along the length of the space. 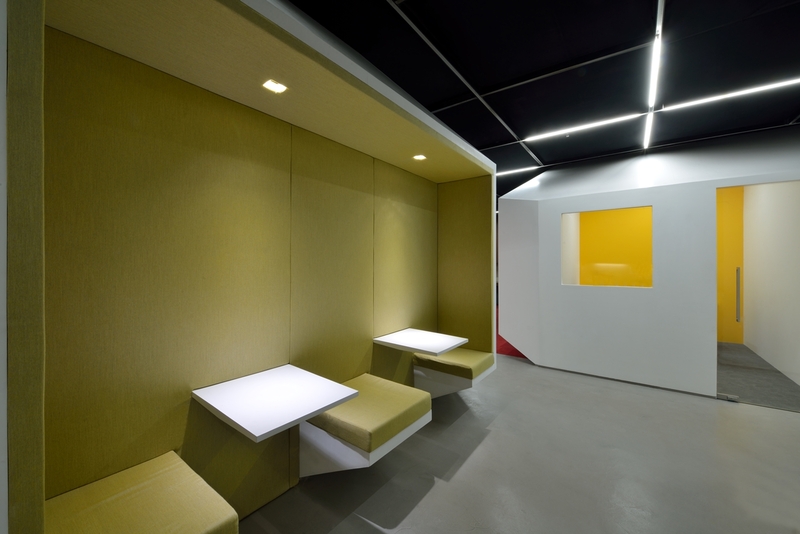 Each of the cabins’ is sculpted through additive logic of informal meeting spaces built into its sides and a subtractive exercise to minimize the weight of its form while accentuating the vertical in a space without great ceiling heights. 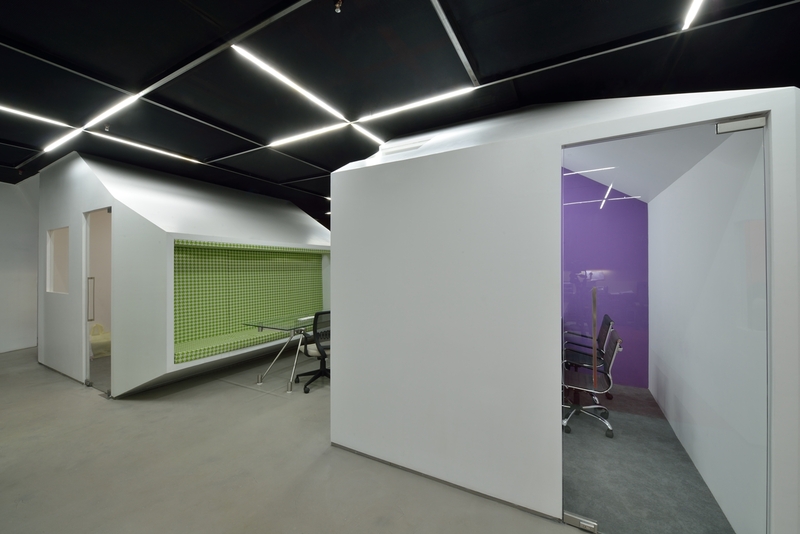 The ceiling system is designed as a module of inverted that become both a datum grid, a muted background for the composition of built form under it as well as a lighting detail for the space with fixtures positioned to facilitate navigation through the office. Am amphitheater like space becomes the quintessential village square, thus establishing the largest open space in the office as a buffer between the management, staff and supporting back of house areas.